Firefighters from Elland and Brighouse stations attended an arson at a barn in Huddersfield last night (Monday). Firefighters, who also came from Dewsbury and Huddersfield, used hose reels, jets and a combined aerial rescue pump (carp) to extinguish the fire. The building was empty at the time. 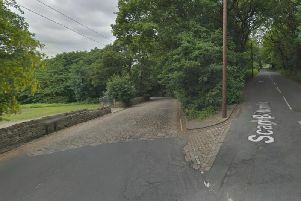 A West Yorkshire Service spokesperson said the fire was being tied in with a number of arsons in the area over recent days.